Back in October 2018, we announced our collaboration with Gain City for a Big Renovation Project, where we will present to you three different home renovations from start to finish. In early December, we revealed the first completed home. We have since embarked on the second project. 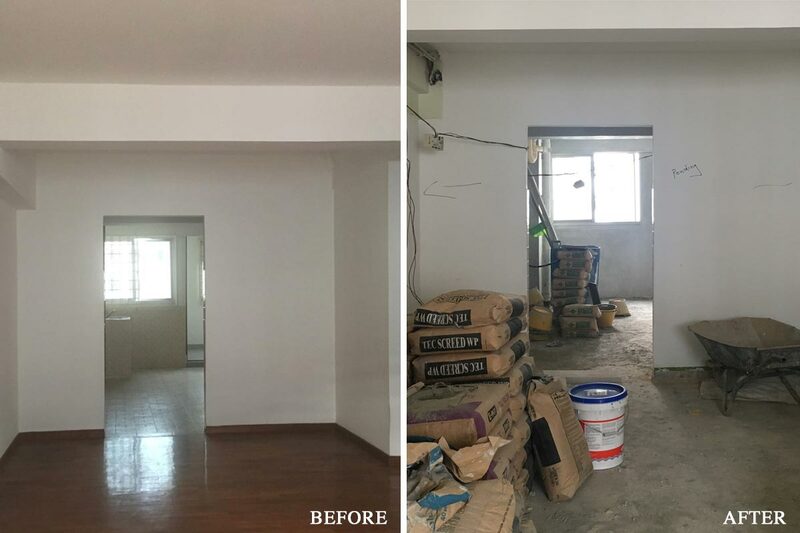 Similarly, we will be giving you progressive reports on each phase of this home’s makeover, and this will be followed by the final reveal of the completed project on the SquareRooms website and magazine. The second home we are featuring is a 3-room resale flat located in Marine Drive and is currently occupied by a married couple. 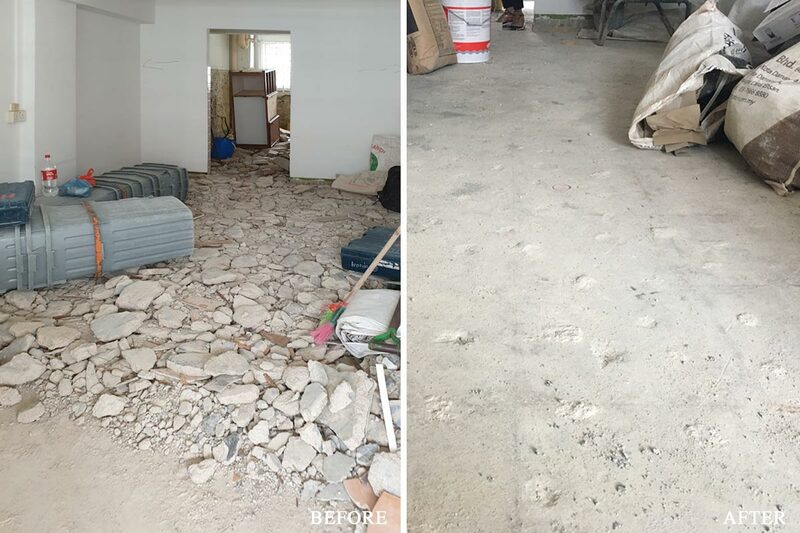 Undertaken by Rezt & Relax Interior Design’s senior designer Danielle Teo, the first part of the home renovation will see original flooring materials stripped away in favour for new ones, as well as the hacking of non-essential walls to open up the home. 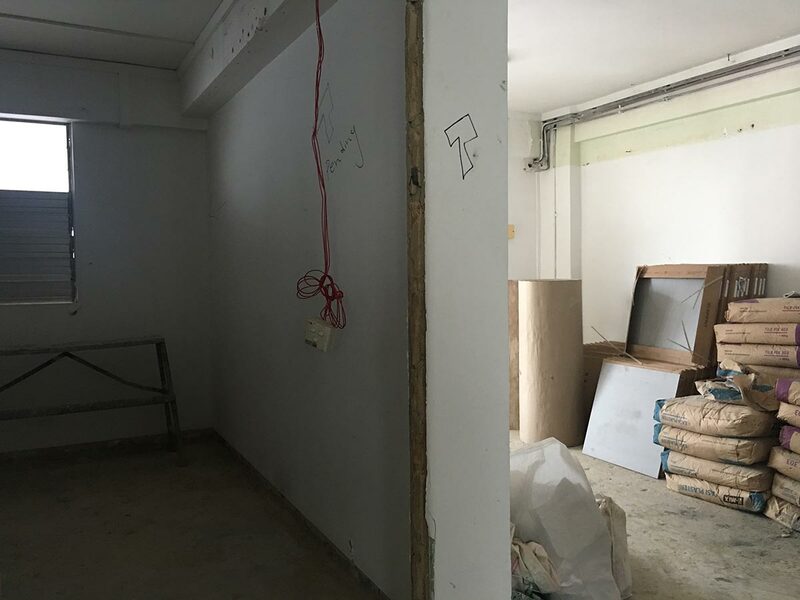 Let’s take a look at the progress report of the renovation process thus far. To create a larger communal area, the wall that separates the living room from an adjoining bedroom will be hacked away and the two areas will be combined. With a Nordic-inspired theme in mind, the original parquet flooring will be removed and replaced with grey homogeneous tiles. This flooring will also continue throughout the home. Additionally, as these tiles are in a large format, the overall home will be made to look and feel much bigger due to the minimal grout lines. To create an open floor plan between the living and cooking areas, the kitchen’s original entrance will be hacked away. In addition, the flooring in the utilitarian zone that was previously one step lower will be raised up to match the other floor levels in the home. Aiming to recreate a boutique-style bathroom, the sink will be relocated into the master bedroom. 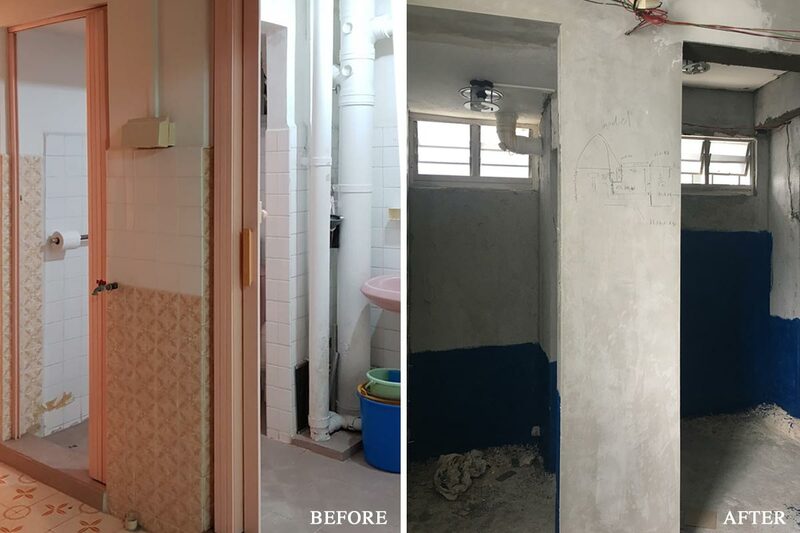 Meanwhile, the right side of the existing bathroom entrance will be sealed to provide the homeowners with a more cosy and conducive shower area. As the female owner likes to play musical instruments, the music room located at the furthest end of the home will be lined with acoustic panels to contain and minimise sound from travelling outside of the room. Keep a lookout for the next progress report where we delve into the built-in fittings and building materials the homeowners have picked out. This post was brought to you by Gain City. 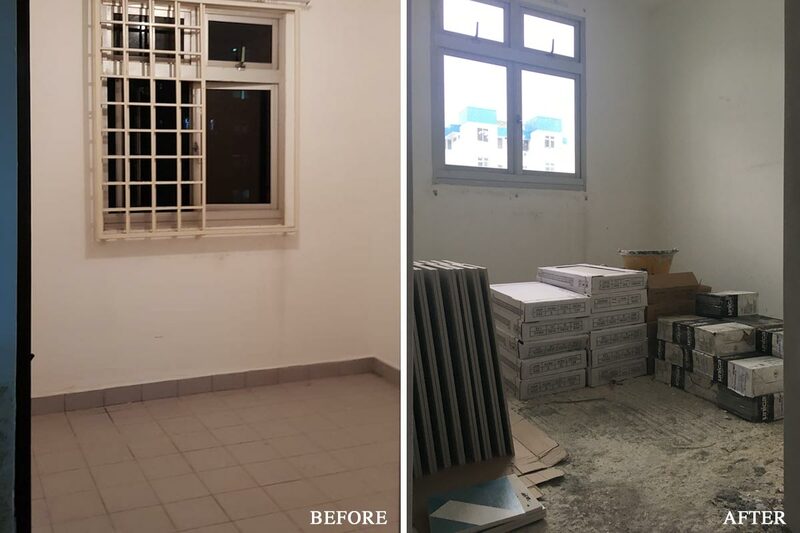 For more home renovation ideas, visit the Gain City Megastore @ Sungei Kadut to view fully-furnished mock-ups of 3-, 4- and 5-bedroom BTO flats at the Gain City Experiential Centre. The next instalment of Gain City’s Big Weekends will be taking place on 23 – 24 February. Register here to enjoy exclusive discounts on home appliances and more at the Gain City Megastore @ Sungei Kadut.